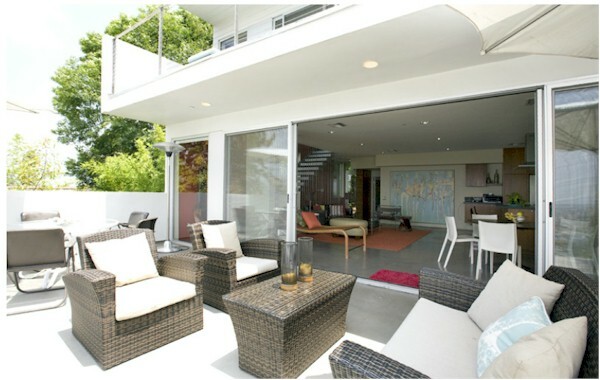 1839 Maltman is a three story Silver Lake hillside residence designed by Robert Hisn and Michael Poirier in 2006. Robert Hsin achieved Leadership in Energy and Environmental Design accreditation from the U.S. Green Building Council. 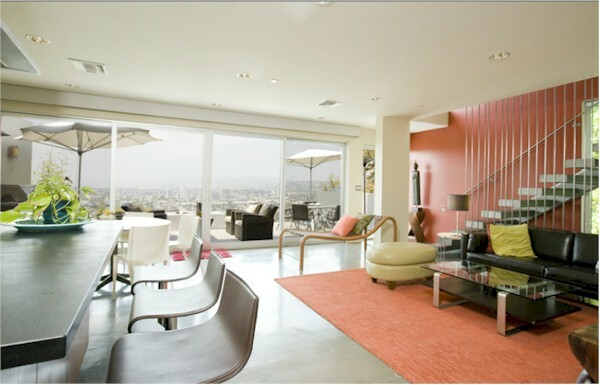 Michael Poirier has a diverse practice of architectural design, interior design and urban planning, having done many Silver Lake renovations and ground-up projects including serving as lead designer for the Toy Factory Lofts in Downtown Los Angeles. Poirier is also an active member of the local music and design scenes. Speaking of the music scene, if you are in the market for a Silver Lake home with a recording studio, this place is a must see. 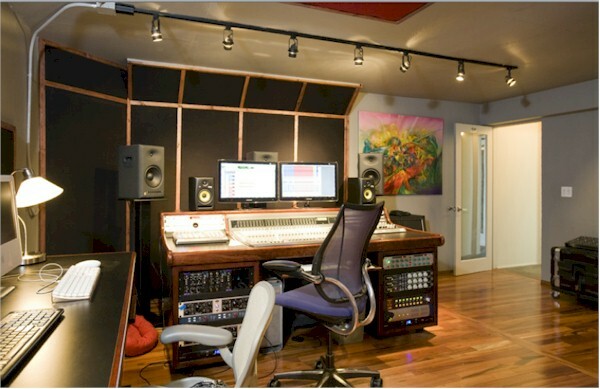 The home’s original media room was converted by the current owner indo a recording studio with separate live and control rooms. Adjacent to the Paramor Mansion, this state of the art, loft-like Silver Lake home has head-on city views from the Griffith Park Observatory to the ocean from almost every room. It features 3 bedrooms and 2.5 baths in over 2,100 sf of living space. The designers made sure to include walls of glass at every level to bring in the natural light and take advantage of the views. The open floor plan of the kitchen/dining area leads to an outdoor patio for a great indoor outdoor flow. The home’s main level includes the kitchen, dining and living areas. The master suite if found upstairs with its spa bath, walk-in closet, private terrace and views for days. The bottom level includes two bedrooms and full bath and plenty of storage. The house is very cool and dramatic. There is an attached garage at street level and an additional 3 spots in front so there’s plenty of room for parking. 1839 Maltman is the hills yet a just up the road from the Silver Lake Farmers market, shops and restaurants. If you like views and modern architecture, this could be the place for you. If you'd like to see this property, give me a call and I'd be glad to show it to you.